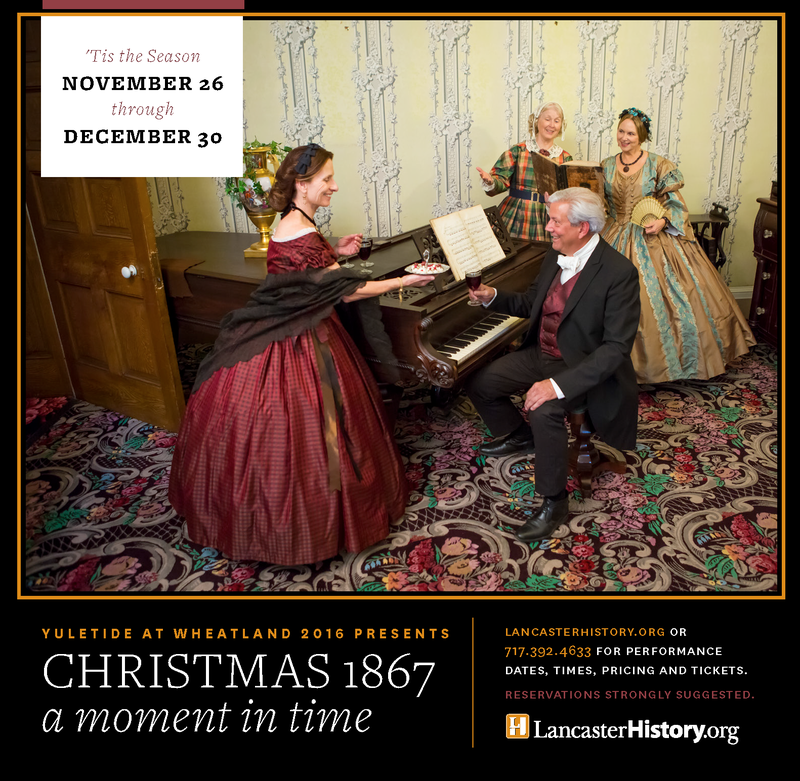 Join LancasterHistory.org for a historical performance that captures a moment in time, taking us back to the holiday of 1867 when President James Buchanan celebrated the holidays with friends and family at his beloved Wheatland. 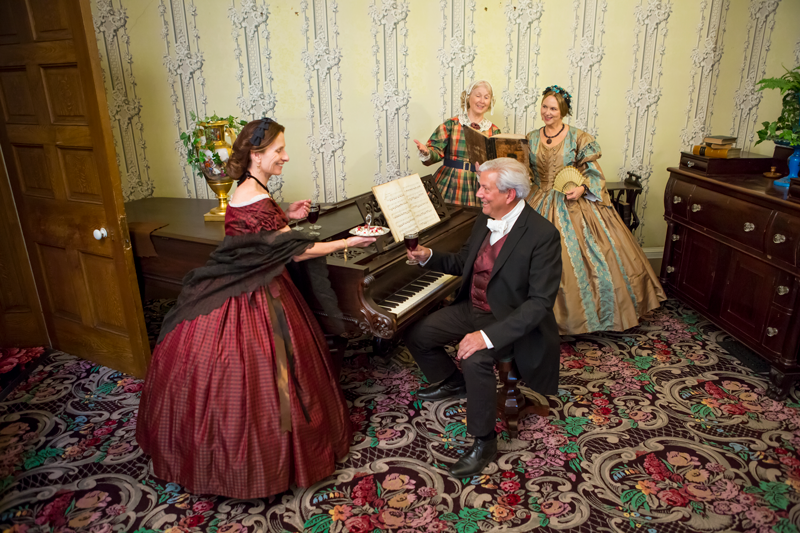 Celebrate a Lancaster Victorian Christmas! Performances run Fridays & Saturdays from November 26 to December 30, and daily December 26-30, and are limited to 20 visitors each performance. They do sell out, so reserve your holiday adventure early. Fun for all ages! Click here for a Yuletide at Wheatland ad. Click here for a Yuletide at Wheatland image only. Charting a course to discover a family heritage involves more than just finding information on the internet. Genealogist Kevin Shue will discuss various websites and offer ways of organizing a genealogy research project. LancasterHistory.org is proud to partner with Millersville University in honoring the 75th anniversary of the events at Pearl Harbor. The bombing of Pearl Harbor, in one moment, brought the United States fully into the second World War. With rousing musical performances by the King Street Big Band and the Victory Bells Trio, local actors will take to the stage to bring the war years to life. Photos and letters from LancasterHistory.org’s collection and local Lancastrians will tell the story of how our community came together in support of soldiers abroad and on the home front. Curator's Tour of FREEDOM: "to secure the Blessings of Liberty"
Dr. Tom Ryan, President and CEO of LancasterHistory.org, will give a 45 minute guided tour of the current exhibition, offering a brief introduction and highlights of a few historic artifacts, such as Thaddeus Steven’s wig and one of the elaborate dresses Harriet Lane wore to visit her old friend Queen Victoria. Tickets available online at www.lancasterhistory.org/events. It’s said that legendary Lancaster educator John McCaskey was so fond of Christmas Carols that he sang them all year round. He was among the first to collect and publish songs in books for the public in the 19th century, and sold hundreds of thousands of them. Local author Delores Parsil, a retired McCaskey High School teacher, will discuss McCaskey’s contributions to American music, just how deeply his love for Christmas music ran, and his special connection to Jolly Old St. Nicholas. Research Library closing at 3pm. LancasterHistory.org, including Wheatland, closed. All operations reopen on January 9.
you happen to be online casino - new casino sites large inducement to join and you've made your first bet.